In the caravan I fitted LED bulbs in the existing light units. This saves a massive amount of battery power when you are off grid – meaning you can stay away longer before you need to re-charge. 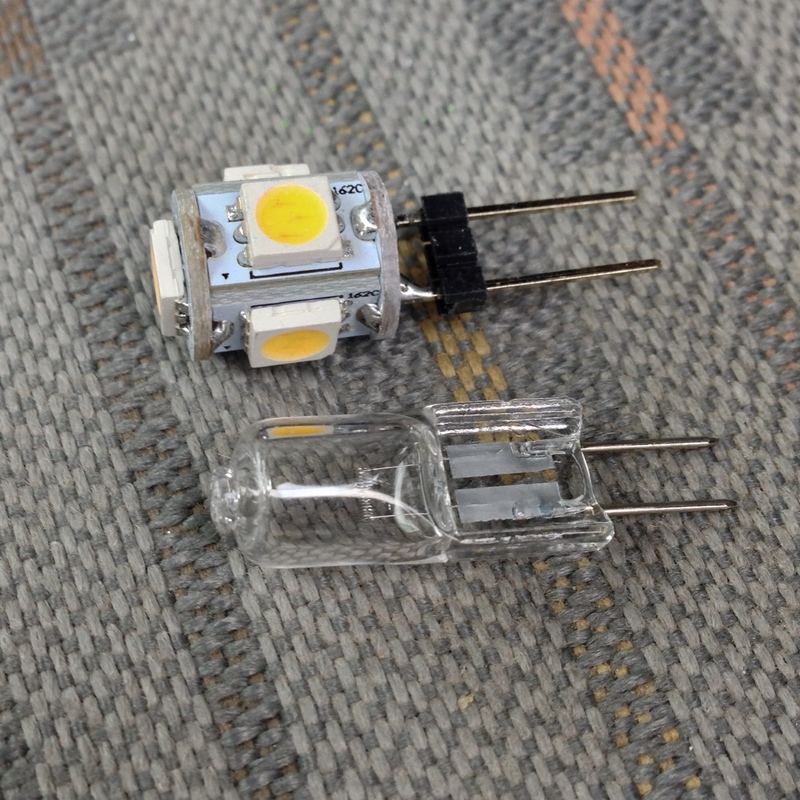 Basically one 15 Watt halogen bulb can be replaced with a 3 Watt LED bulb meaning the battery will last 5 times longer on this bulb. 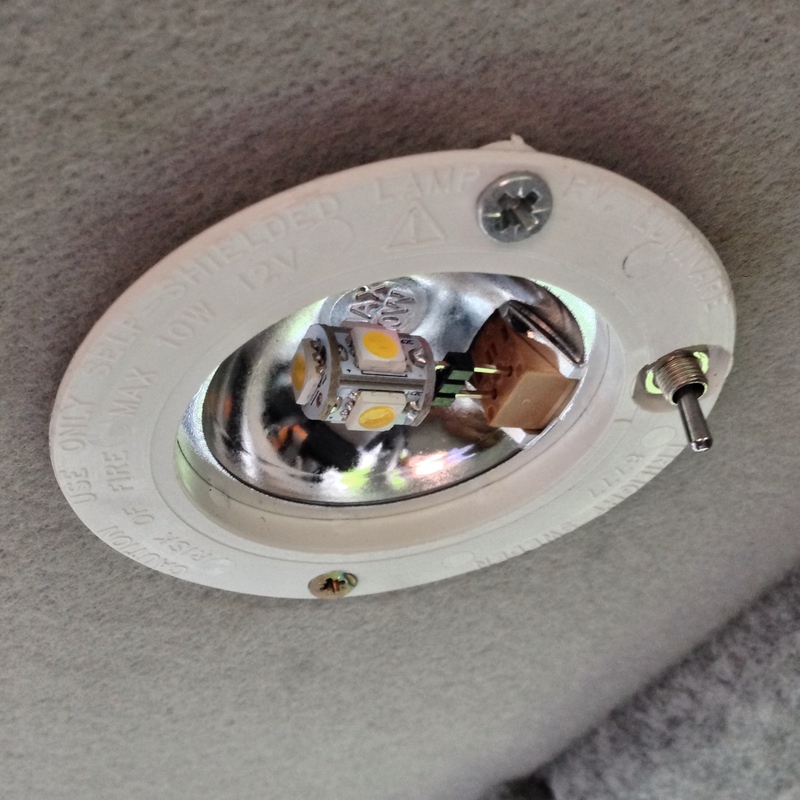 The campervan came with halogen bulbs and no way to illuminate the living area when quickly jumping in and out of the van when travelling. 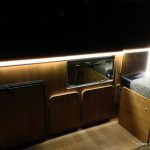 It’s got loads of light units which are all controlled by the power management system, but this needs either leaving on, or moving through the dark to the other side of the campervan to flick a switch. 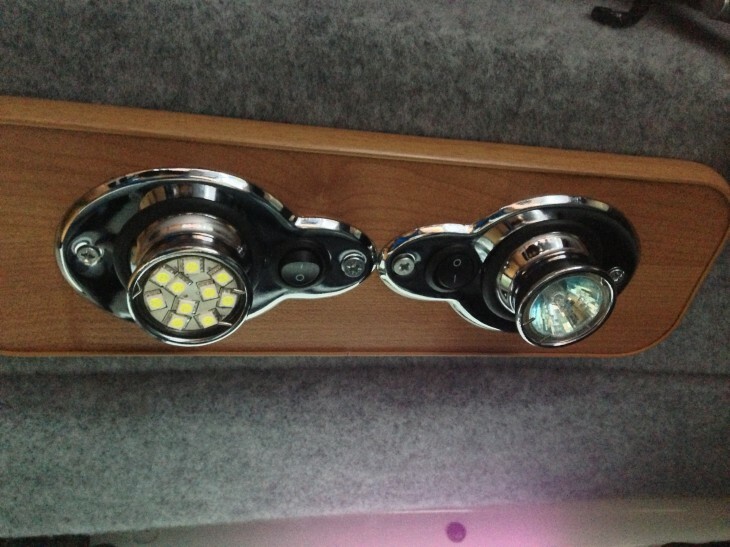 For under Â£20 I fitted a roll of self adhesive LED Lighting for the Campervan which are permanently powered by a LED remote control dimmer unit linked to the leisure battery. This means that even when walking up to the van I can illuminate it like Blackpool Tower. My son can also dim the LED’s using the remote and it allows him to read in the back without bothering me (the driver). 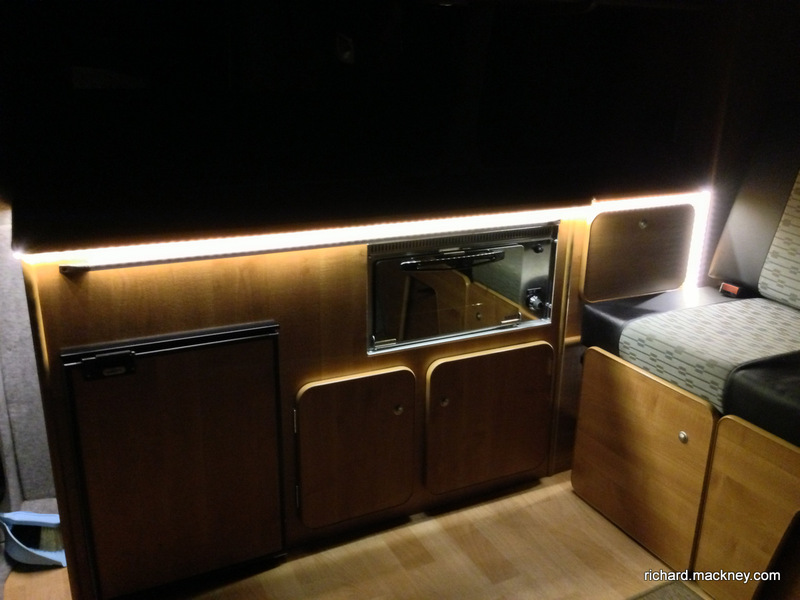 The strip also continues underneath the rear seat storage to let there be light. The Bus LED lamps at rear are MR11 GU4 35mm. This is a great article that helps to prove just how good LED lighting is. As it can be used anywhere from streets to caravans and can save so much energy. I would definitely recommend LED lights to others. Sweet! stealth vans are ace! Hi Sam, For the strip of LED’s I used an LED Dimmer that connects directly to the 12v battery (via inline fuse) … http://amzn.to/1b2NIL2 all the other replacement LED’s are running through the existing 12v transformer/power management.